A rival to Vail Resorts, Alterra Mountain Company owns ski resorts across North America. Alterra dates back to April 2017, when KSL Capital Partners, LLC (owner of Squaw Valley Ski Holdings, LLC) and Henry Crown & Company (owner of Aspen Skiing Company, L.L.C.) acquired Intrawest Resorts Holdings for $1.7 billion. Concurrently, Mammoth Resorts was acquired by the group. The Delaware-based Hawk Holding Company was used to facilitate the purchase. 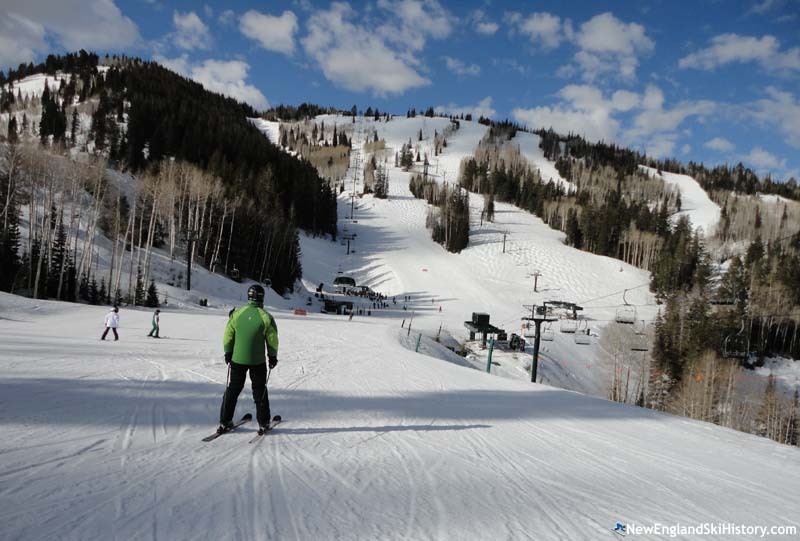 For the Intrawest acquisition, KSL Capital Partners and Henry Crown & Company each provided $351.6 in cash, with the balance of the purchase price being covered by debt. Henry Crown & Company was considered a minority partner in the venture. On July 31, 2017, the completion of the acquisitions of Intrawest and Mammoth was announced. The resulting company retained the Intrawest name and offices for the time being. While the KSL, Intrawest, and Mammoth areas were rolled into the new company, Aspen's ski areas remained separate. KSL's Bryan Traficanti was named interim CEO. On August 21, 2017, the new company announced it would acquire Deer Valley in Utah. The deal was completed in October. On January 11, 2018, the new company became known as Alterra Mountain Company. Two weeks later, Alterra announced the end of the MAX Pass, a joint pass created by Boyne Resorts, Intrawest, and Powdr in 2015. Taking direct aim at Vail Resorts' Epic Pass, Alterra rolled out a new multi-area product called the Ikon Pass. Rusty Gregory was named CEO of Alterra on February 7, 2018. Gregory had served as CEO of Mammoth Mountain since 1996. On August 1, 2018, Alterra purchased Solitude Mountain Resort, its second Utah ski acquisition. On September 6, 2018, Alterra announced it would acquire Crystal Mountain in Washington from John Kircher, just a year and a half after he had pulled the area out of his family's Boyne Resorts portfolio. The Crystal Mountain acquisition gave Alterra its first ski area in the United States Pacific Northwest.